Muscular Dystrophy can be classified as the disease with inborn genetic manipulation, which damage and weaken the muscular structure and strength over the period of time. It has been observed that the people with MD, have missing or incorrect information passed by their gene during the production of an important protein known as the “Dystrophin”; that is required for normal muscular functions of the body such as walking, swallowing, coordination, etc. There are almost 30 different forms of Muscular Dystrophy that vary in symptoms, problems and severities. As the disease is related to muscular weakness, it can be possible that babies, teens or adults can express the muscular problems at any phase of their development. The severe form of MD, is observed in babies especially boys, who can experience the swift and severe muscle weakness and wasting; dying their late teens to early 20’s. Although, the number is still uncertain to know exactly how many people of all ages are suffering from the disease; an estimated 1 out of every 35000 males has Muscular Dystrophy. In a different study, it has been estimated that almost 29% of the men are using a wheelchair at the age of 9 years, 82% of the males are using the wheelchair support at the age of 14 years and more than 90% of them use the chair at the age of 24 years. 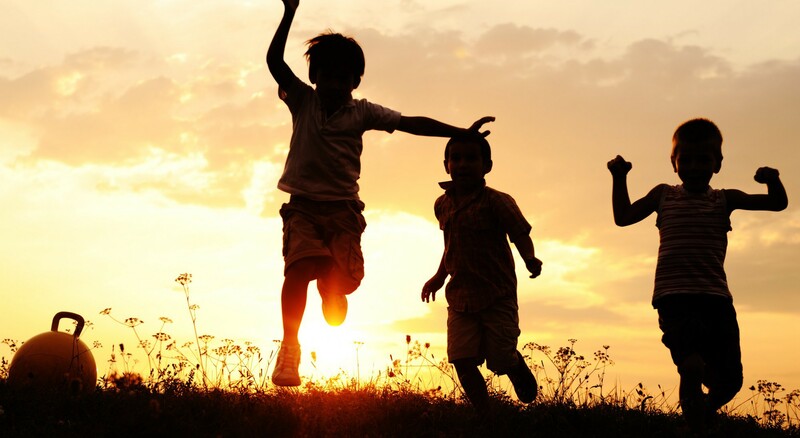 As far as the survival status is concerned, 100% of the boys were living at the age 9 years till the end of the study, 99% of men were living at the age of 14 years and 58% of them were living till their early 20’s. There are almost 30 different Muscular Dystrophy variants, but nine forms of the MD are more commonly reported so far. Duchenne Muscular Dystrophy: – This is the most common form of the variant; almost half of the reported cases are suffering from DMD. This affects the boys, the symptoms are usually observed during 2-3 years of age, the child becomes wheel chair bound at the age of 12 years and die of respiratory failure by his early 20’s. As this involves the weakness of major involuntary muscles such as heart, lungs, etc; it is known to be the most severe of all. Becker Muscular Dystrophy: – This is another form of MD, very similar to DMD. In spite of being similar to DMD, the disease is much milder than DMD and its symptoms start very late with the less severity. On an average, people with BMD, start expressing symptoms such as muscle breakdown and weakness by the starting of adulthood. Sometimes, people with BMD, can also exhibit breathing disorders, heart, bone, muscles and joint problems. Emery Dreifuss Muscular Dystrophy: – This is a very rare form of MD, typically expressed in late childhood to early teens. Although rare, symptoms are the same such as wastage of muscles, weakness, join deformities with slow progression. In severe cases, sudden death may occur due to cardiac arrest. Limb-girdle Muscular Dystrophy: – This is a type of muscular dystrophy, affecting equally to both boys and girls. It usually occurs in late childhood to middle age. The symptoms include muscle wastage in shoulders, upper arms, around the thighs and the hips. The progression of the disease is slow, but in later stage of life a wheelchair may be completely necessary. Myotonic Muscular Dystrophy: – This is a type of MD, in which muscle relaxation can cause a problem. It occurs especially in teens. Number of other problems can also be exhibited such as muscle weakness, wasting, cataracts and heart problems. Congenital Muscular Dystrophy: – This is a generalized term for all the babies and children with MD. This is equally expressed in both girls as well as boys. In rare cases, CMD can as well cause learning or intellectual disability. Fasciocapulohumeral Muscular Dystrophy: – This type of MD occurs in both men as well as women but found to be more common in men than in women. It has been observed that about one in three people with this type of MD is typically unaware of the condition until well in adulthood. The symptoms may include sleeping their eyes slightly open, an inability to squeeze their eyes tightly and an inability bring their lips together. Muscular Dystrophy is the genetic disorder due to faulty expression of mutated genes. Almost 90% of the disorders are being inherited from the family history whereas 10% of them are expressed due to spontaneous changes in their mothers egg or developing embryo that has been passed on to the next generation. A female who carries the faulty genes can pass the same on next generation. If the genes are being passed to the daughters, they become the carrier of the same whereas if the genes are being passed on to the boys they tend to express the symptoms. Researcher could ultimately discover the abnormal gene which when defective can cause Muscular Dystrophy. The muscle protein associated with the gene abnormality is known as the Dystrophin. In some of the muscular dystrophy, the protein is being produced but it’s either not clear or is of very poor quality. However scientists are still working to discover the genetic defects causing other forms of the muscular dystrophy. Muscular Dystrophy is the kind of a disease that cannot be diagnosed early in its progression; in fact some of the kids follow the normal pattern of development during first few years of their life. Slowly in time they start developing a problem in small things such as climbing staircase, walking on their toes, etc. A child may start to stumble, waddle or there may be a difficulty in getting up from the sitting position. A typical observation is that a child with MD, often develops enlarged calf muscles due to fat replacements. A child has to first undergo a thorough physical examination followed by a detailed consultation on the family history. Some tests are also being suggested to conclude the type of MD, which has caused the problem. The doctor as well may suggest a blood check up to find out genetic problem. What goes wrong in MD? Muscular dystrophy is a type of neuromuscular disorder that progressively damages the healthy muscles causing them to be weak and wasted. The disease is a form of congenital abnormality due to wrong expression of faulty gene. Muscles and membrane need many different proteins to be strong and function properly. Some of these important proteins are being supplied to our body from the food we eat but some of them are actually synthesized by our own body such as Dystrophin. This information regarding the production as well as the amount of protein is being passed on, by our own genetic makeup. In people with muscular dystrophy, due to gene mutation wrong information is passed from one generation to another generation due to which these important proteins are produced or produced in very low quantities. Without these proteins, muscles lose their structural and functional integrity slowly and progressively, which may affect the overall normal functioning of the body. Muscles are the important fibrous connective tissue of the human body primarily involved in the movements in connection with the bones of the skeleton. They are responsible for beating of the heart, closing of eyelids and constitute the walls of the important organs. There are different types of muscles working in our body such as cardiac muscles, skeleton muscles and smooth muscles. These muscles are the bundles of the packed cells known as muscle fibre cells. Due to different types of genetic manipulations, cells of the muscles are lost in neuromuscular degenerative diseases such as Muscular Dystrophy. There are some stored cells known as the stem cells or satellite cells which are responsible for production of dead muscle fibre cells to cope up with the damage. In case of MD, when cells are damaged, they activate these stem cells to form new muscle fibres or fuse with the existing cells to repair the damage. However, over the period of time the damage is so high that the reserved quota of stem cells is always not sufficient to manage. Scientists have proved that our body has different sources of stem cells in different organs which are not being utilized by them. 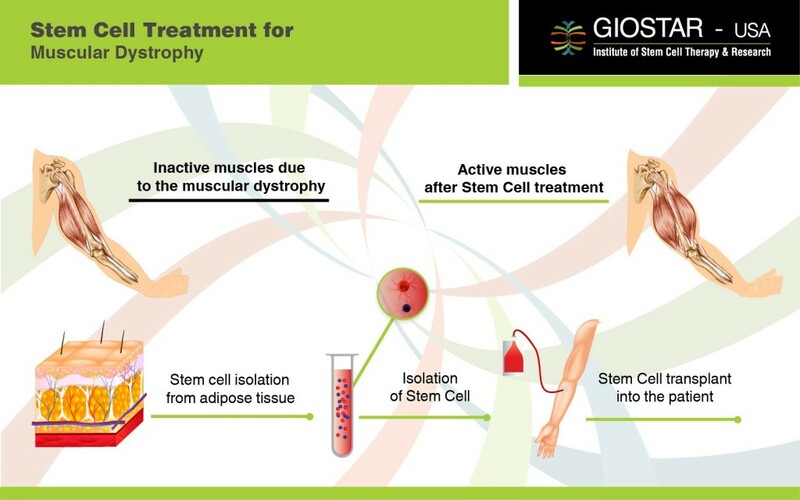 These sources of stem cells can now be exploited to isolate rich population of stem cells which when infused into the muscles can replace the damaged muscle cells with healthy muscular fibres and reduced the inflammation associated with the muscular dystrophy thereby slowing the progression of the disease. We have mastered the technology for isolating maximum number of viable stem cells from either the autologous sources of your own body or allogeneically with the matched donor to treat various forms of Muscular Dystrophy. Intra Muscular Administration:-Through this mode, cell are infused directly in the muscles. Once infused back in the body, these cells can reach at the targeted site through their strong paracrine effects and differentiate into lost muscle fibre cells or help revive the damaged ones to restore their function back. Thus with our standardized, broad based and holistic approach, it is now possible to obtain noticeable improvements and stoppage of progression in the patients with progressive MD.